Virtual Office Conference call service is easy to start or join a conference call. Just dial your dedicated conference call number, enter a PIN and start talking! You will get automated voice prompt when a user join or leave your conference room. Effective conference call require everyone to be hear clearly with no delays. Virtual Office Conference Call service only uses the enterprise grade equipments and direct ISDN line from Telekom to offer you the clearest and most reliable service possible at all time. Hold your meeting when you want it. 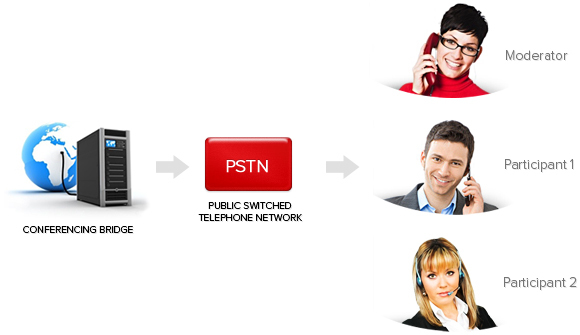 No pre-arrangement is required for conference call for up to 25 users simultaneously at one time. How much does Virtual Office Tele Conference Call Service Cost? Get connected with multiple users in a smart way! Each teleconference account will comes with a dedicated (+603) landline phone number for your team to call and it is protected by a PIN only known to your account administrator. All our conference call plans are based on number of maximum participants and not by the minutes like other providers.